Our matte finish natural hardwax oil surfaces bring warmth and beauty to every environment. There was a time when homeowners almost automatically chose a high gloss sheen for their floor finish. If you couldn't see your reflection in your floors, they weren't shiny enough (ah, the 80's). 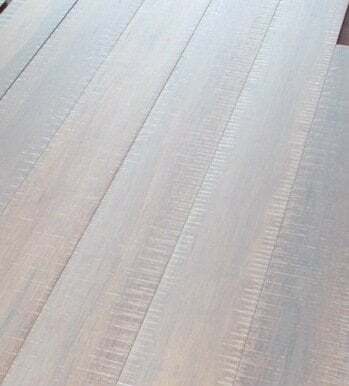 Nowadays, many folks are looking for a more natural look and feel, and more often they're turning to wax oil and natural oil finishes on their wood and bamboo floors. Hardwax oil finishes enhance the beauty of your bamboo floor while also providing the protection you've come to expect. While oiled floors require a bit more maintenance than the pre-finished polyurethane floors, many homeowners feel that the rich, natural feel of hardwax oil worth the extra effort. But... What is it Exactly? The words wax and oil in the same product name throw a lot of people off. Which is it, a wax or an oil? The answer is... both! The hard wax oil applied to our floors is made from natural vegetable waxes and oils, and contains no volatile organic compounds (VOCs), which when emitted in large amounts can compromise indoor air quality and may be linked to several illnesses. Our hard wax oil is a safe, non-toxic and eco-friendly floor finish. Besides being a healthy and natural option, hardwax oil outperforms other finishes in a unique way. 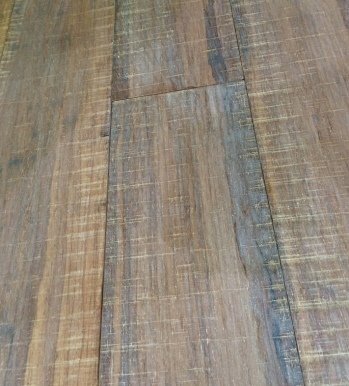 While most types of finishes act like a thick seal that sits on top of your planks and acts as a barrier between between scuffs, scratches, stains and the bamboo itself, hardwax oil penetrates deep into the wood grain and bonds with its fibers so the wood itself becomes much stronger, and not just at its surface. You'll want to make sure to use approved hardwax oil soaps and cleaners and follow our hardwax oil maintenance guide to keep your floor looking fresh and clean. Otherwise, keeping your hardwax bamboo flooring clean and beautiful is actually quite easy. Sweep it regularly with a broom or hard wood floor vacuum to keep it free of dust and debris and for deeper cleanings just follow the instructions above. While there is a bit more maintenance with hardwax oil than polyurethane finishes, you won't have to ever sand down or refinish and re-apply hazardous chemicals, which makes these natural floors great to live on. Just use the specialty maintenance oil and cleaners to keep the color of high-traffic areas as rich as the rest of the floor.